ISEP student Carlos R. is a part of ISEP Voices Spring 2016. He is an international business major from Monmouth College, and is studying business and Spanish while abroad at Universidad Católica del Uruguay in Uruguay. With time, learning about your own country’s culture comes natural. Learning about another culture starts to take a little bit more work. When two cultures are your first culture and you have to be able to balance it out, things get difficult. When you have two distinct cultures that you try to learn at the same time as you grow up along with learning your host country’s culture and be able to clearly articulate what makes you, YOU, it is a whole new world of complicated! That doesn’t mean I am having some sort of identity crisis, far from it. In my home, I always spoke English and Spanish simultaneously. From my own evaluation, I’d say I am fluent in both languages. So when meeting other international students, the conversations always start with your name, where you’re from, what you study and so on. Pretty basic, right? Not. Keep in mind that these conversations happened in Spanish, which I’m translating to English. Keep in mind that I had to explain myself over 50 times. Let’s just say I did a lot of talking during orientation. When talking to locals, I have a hard time telling them what it’s like, "where I’m from,” because I have the perspective of two cultures. They end up getting an answer they weren’t expecting and maybe didn’t even want to hear. With my friends who are from Mexico, I will always be an American to some degree and to my American friends, I will always also represent my Mexican culture. 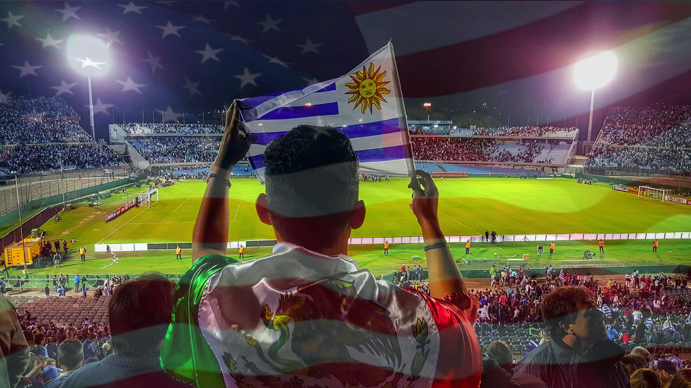 Whether I am in the U.S. or in Montevideo, I will always carry the honor of growing up Mexican-American and being able to use it to my best advantage. Maybe in four months, I’ll have a little bit of Uruguayan in me as well. I keep learning more and more about myself during my time in Montevideo. It also allows me to see something different besides what I grew up in. When the time of my departure comes, I will add Uruguay to my repertoire of cultures. I will continue to be the best version of myself I can be.